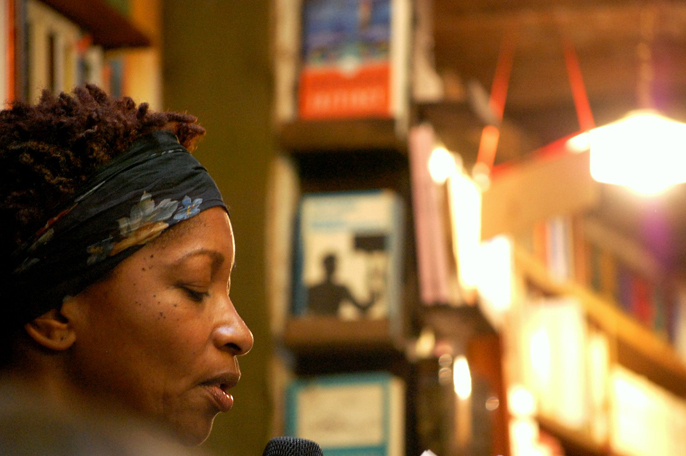 Bonnie Greer (OBE) is a novelist, playwright and critic with a gift for celebrating the uncelebrated and telling the stories, which have remained untold. Her ability to address issues with sincerity and eloquence has led to her being a revered contributor to programmes such as Question Time and Newsnight. As former director of Talawa Theatre Company and Playwright in Residence for Nitro, Greer’s commitment to developing black British theatre extends to her own works such as Munda Negra and Jitterbug. As a contributor to the National Theatre’s upcoming event Walk in the Light, I am curious to know Greer’s opinion on the industry today and what she considers to be the most clamant obstacles faced by black artists. How would you describe Walk in the Light and what would you like this project to achieve? I see it as a kind of analysis and revelation. If the young can see that there was a "Before" and the powers-that-be can stop doing smoke and mirrors. Because they were there in the "Before", too. They don't want to remember that. You first came to the UK in the 1986. What made you decide to call the UK home? Success in terms of the mainstream, might not be mine. It might be the next person's. That's ok, as long as the direction of travel for black people in the sector is up. The surge of black theatre; music; film; TV. Its diversity was far larger than the US's. It looked strong, good and innovative. Throughout your career what changes to the industry have you witnessed regarding black artists? Diminution. If we take it by ratio, presence of black artists should have gone up with the proliferation of channels, etc. It's gone in the opposite direction. In 2013 do you think that black plays are still considered a fringe genre? If so, why do you think that is and what do you believe can change that? Yes. Black playwrights - like black people in theatre - have an age ceiling. This is because the community is considered to be in constant "development" and working with only relatively young people proves this point. African American plays are fine, but actors are always playing in accent. The British equivalent at the level of American plays being presented are seen does not exist. Your book Obama Music chronicled your own relationship with American music and linked it to social and political change in the US. Do you think any British musical artists or bands have had a similar effect in the UK? Oh yes. Legion. I am associated, for example, with the Jazz warriors UK. This group of people inspired me in New York, and I'm talking about people like Cleveland Watkiss, Courtney Pine; Pauline Black and the Selector. This is just jazz and dub...rap etc. Loads of stuff. In your professional life which person or persons have been your great inspiration(s) and why? My mom. Down to earth, tells it like it is. She is who she is. As a novelist, documentary producer, biographer and playwright your work spans a wide range of creative channels. What do you think a play embodies which other art forms can't? A live audience. A play is presented in front of human beings in real time. What is the greatest lesson that you have learnt throughout your career? That success in terms of the mainstream, might not be mine. It might be the next person's. That's ok, as long as the direction of travel for black people in the sector is up. A Walk in the Light is a celebration of 50 years of black British theatre. What do you hope to see happen in this area during the next half a century?